SOUNDShifting carries only Crystal Tones crystal singing bowls, the original gemstone, metal and mineral-infused Alchemy Singing Bowls. 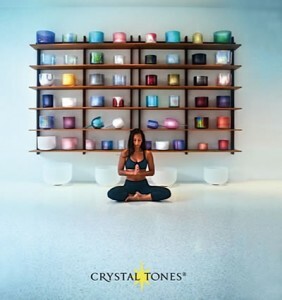 The Crystal Tones Alchemy Singing Bowls are made of the highest grade of pure crystal quartz and as such their sound is clear, consistent and sustained. The resonant, pure-tone frequencies of Alchemy Crystal Singing Bowls coupled with the inborn properties of crystal to transmute, store and transmit energy, make these bowls powerful quantum tools to assist in the process of healing, meditating and reclaiming balance in our lives. In this time of awakening, we recognize the importance of raising our personal vibration. All creation is moving to specific tones and frequencies and our human body is a microcosm reflecting the harmony and wisdom of the Universe. As we tune to the purity and clarity of energy contained in a given frequency, we begin to understand the role Crystal Sound Therapy plays in harmonizing every aspect of our physical and non-physical reality. Call 520.440.7820 or email for pricing and note availability, as different size bowls come in different notes. Treat yourself to a Singing Crystal Bowl, and experience the high quality tones from these precision made bowls! 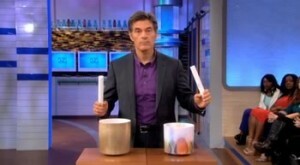 How does crystal sonic therapy work, and is it the solution for you? Dr. Mitch Gaynor reveals how this ancient form of healing can help you curb cravings, improve your memory, sleep better and tame migraines. No Cash Refund – Only Bowl exchanges within 30 days of purchase.